Curtis Orthodontics - What is a Board Certified Orthodontist? Since the establishment of the ABO in 1929, the certification process requirements have continued to adjust to the demands of the specialty. Today, the process involves a thorough Written Examination covering all areas of information which an orthodontist should be knowledgeable. Successful completion of this “board exam” allows the orthodontist to proceed to the Clinical Examination where they present detailed case reports from their practice/residency, demonstrating a history of excellence in patient care. These cases are evaluated by a panel of examiners and later discussed during an oral examination where the applicant is tested on a wide variety of academic and clinical topics. 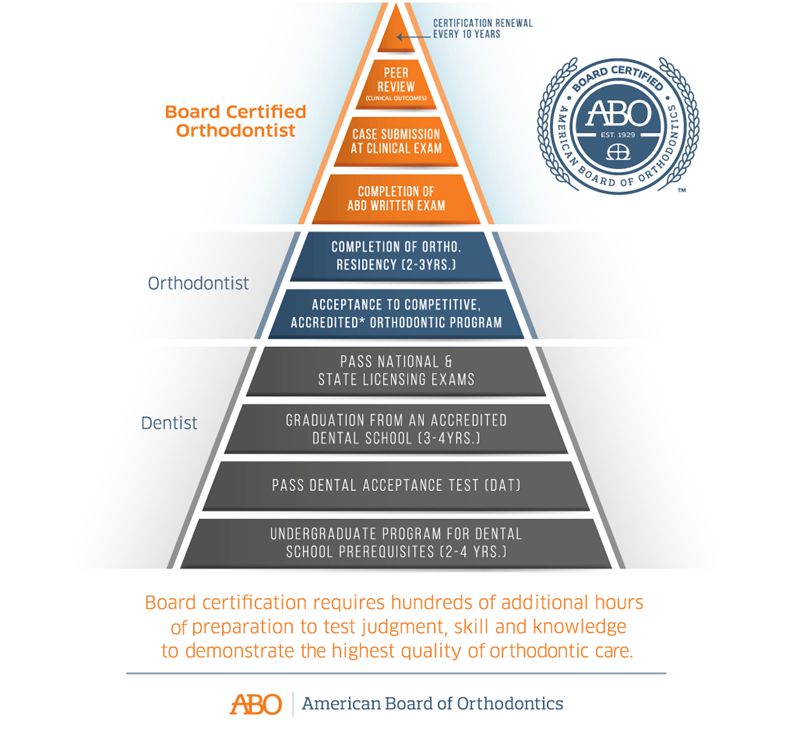 After successful completion of these examinations, the orthodontist has officially achieved Board Certification, for a time-limited period. The orthodontist must go through Certification Renewal every 10 years to maintain their certification status by demonstrating this continued level of patient care.